Lovable Rowland is the third candidate in our Twelve Dogs of Christmas series with the Dogs Trust. Full of energy and fun, Rowland is a six year-old Jack Russel terrier and is hoping that this month a wonderful new family will come along and offer him a new home. Sian Fairlie of Dogs Trust Harefield says that Rowland is looking for ‘a quiet but active home as he has lots of energy to burn! He is a big fan of playtime and loves to play ball – he is often found walking around with a ball in his mouth! ‘Rowland would benefit from further socialization to improve his etiquette around other dogs. Rowland is allergic to grass and tree pollen, but this can be managed with daily medication including baths (the cost of which will be covered by Dogs Trust). 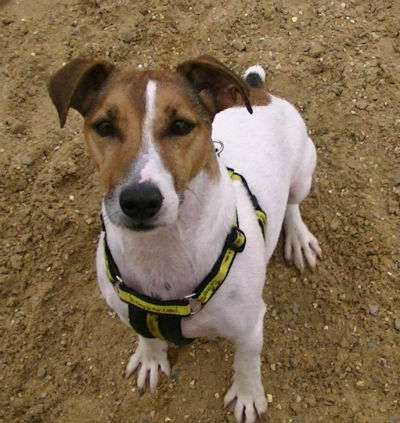 If you think you can give Rowland the happy home he deserves please contact Dogs Trust Harefield on 01895 453 930 or visit them at Highway Farm, Harvil Road, Harefield, Uxbridge, UB9 6JW. receive the time and devotion they require. life, not just for Christmas, why not get involved with the Dogs Trust #presspaws campaign.